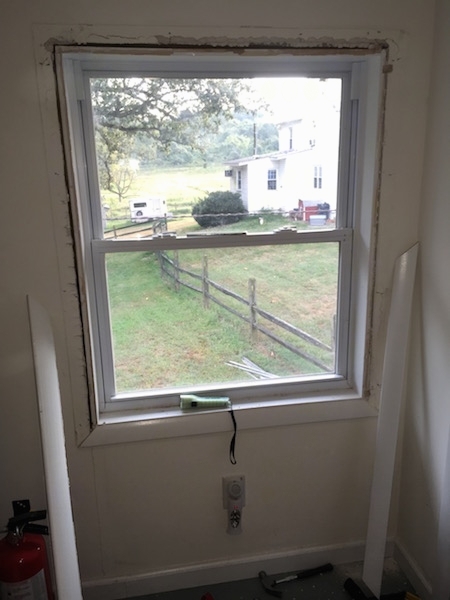 Fiberglass is even shoved around the edges of windows, which explains why when I would put a fan blowing in trying to get some fresh air, I would feel and smell the fiberglass coming into the window. Fiberglass being removed from around the window. The frame was taken off allowing access to the crack where it could be picked and vacuumed out. 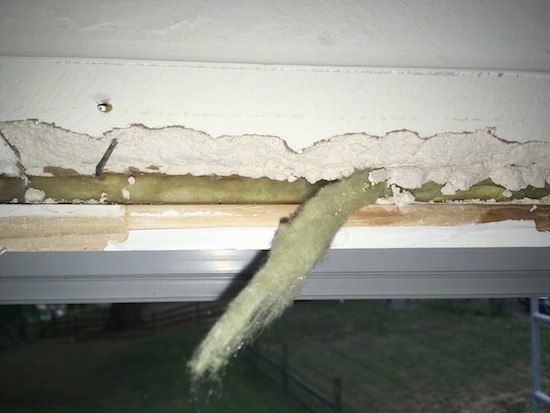 Yellow fiberglass insulation in the crack around the frame of a window. Removing the fiberglass from around the window.